It’s your wedding – but that doesn’t mean it has to be entirely about you. Don’t get me wrong. I truly believe your wedding day should be about the two people who are saying, “I do”. Still, this important celebration gives a couple endless opportunities to incorporate family traditions and heirlooms, too. While most will be subtle, it’s the perfect way to honor those who mean the most to you. 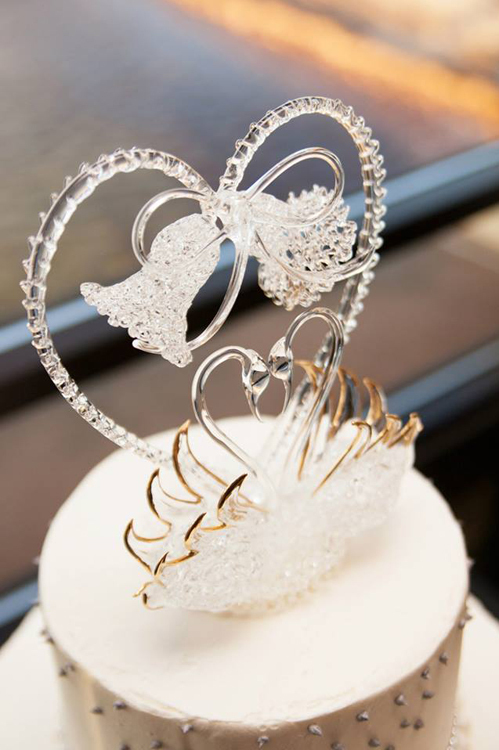 Cake topper – as soon as my husband proposed to me, I knew we would use my parents wedding cake topper. 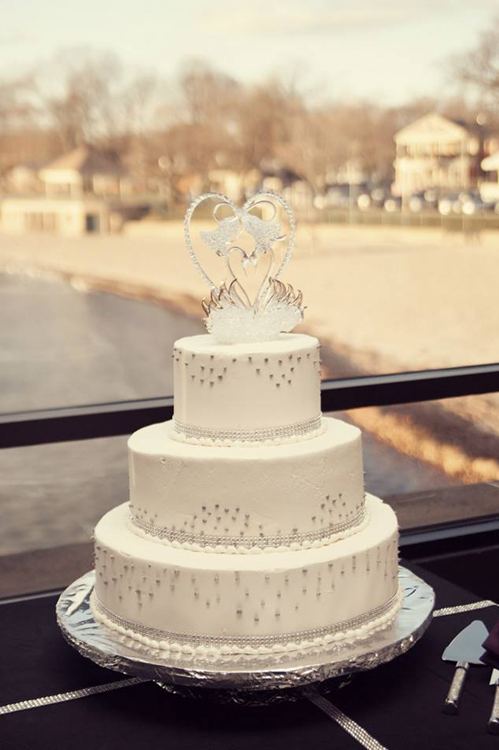 They’ve been married for 34 years – and have kept their crystal topper in pristine condition. Eight months later, my twin sister went on to use the same cake topper for her wedding. Something tells me one of our daughters may use it one day. Rosary beads – my grandmother passed away prior to my wedding. 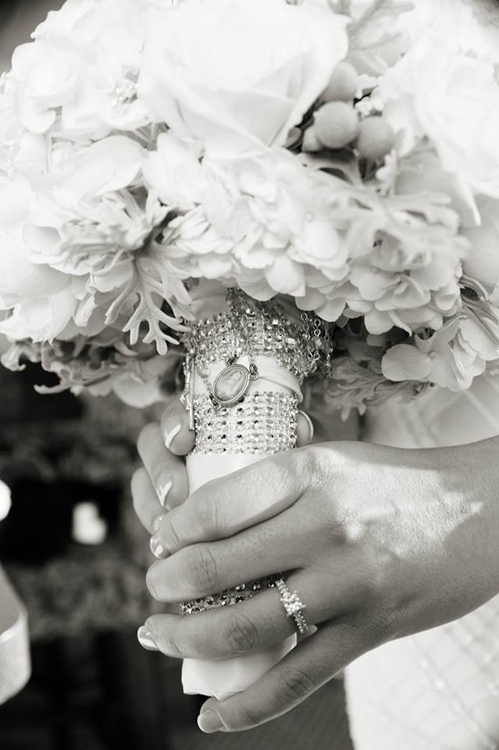 While she was remembered in countless ways throughout our ceremony and reception, I also tied her rosary beads around my bouquet, so I was able to hold her close to me during the most precious part of the day – my walk down the aisle. Photos – Simple, but sweet. This one’s self-explanatory, but instead of just displaying framed photos of your lost loved ones, try incorporating them a different way by purchasing small charm frames from a craft store that can be tied to different objects like your bouquet or the groom’s boutonniere. Let’s hear it: What ideas have you used or plan to use for your big day?